Homeowners shopping for hardwood flooring are sometimes surprised to learn about cork as an option. 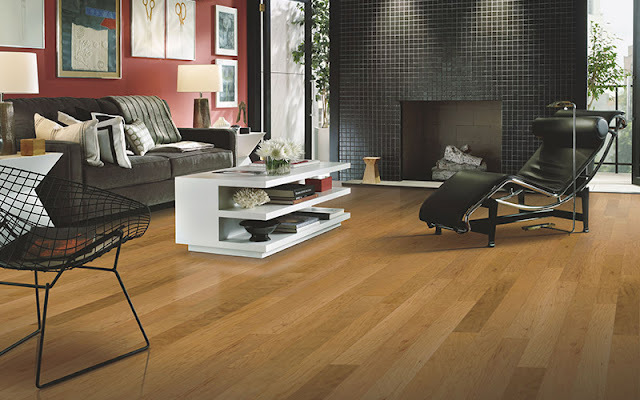 Cork flooring is made from the bark of trees and has many of the same qualities as a hardwood floor. It's not a new type of flooring but in today's world when more people are looking to be environmentally conscious in their purchases, cork flooring is becoming more and more popular. If you're considering wood floors for your Indianapolis home, Kermans has a few things for you to consider about cork wood flooring. The strongest benefits of cork flooring are that it is made from a highly renewable resource, is easy to maintain and offers more comfort underfoot than other wood floors. It's no wonder cork flooring is becoming so popular! 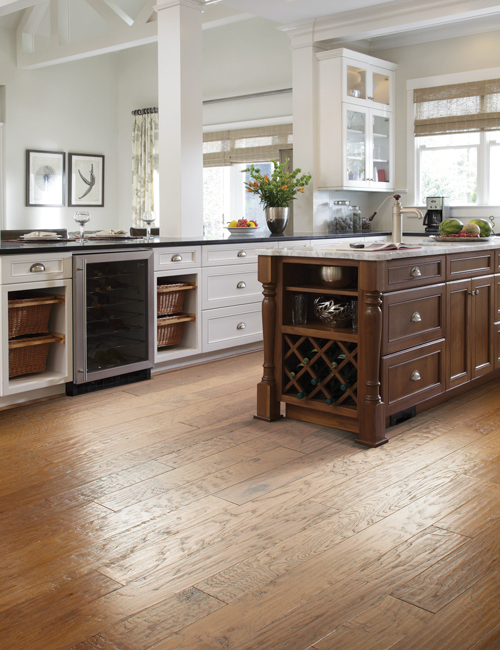 Cork flooring is water resistant - making it an excellent wood floor in kitchens, bathrooms, or basements. It's comfortable underfoot, both because it is soft and easy on joints (or more comfortable as a playing surface for kids) and because it retains warmth. One of our favorite things about cork flooring however isn't its practical benefits - it's the variety of design options. Colors, shades, patterns... you can do so many things with a cork flooring, many that you could never do with a traditional wood floor. Resilient: cork stands up to traffic and its naturally spongy character provides a more cushioned, comfortable surface underfoot. Allergy friendly: Cork is naturally resistant to mold, mildew and other common allergy triggers. 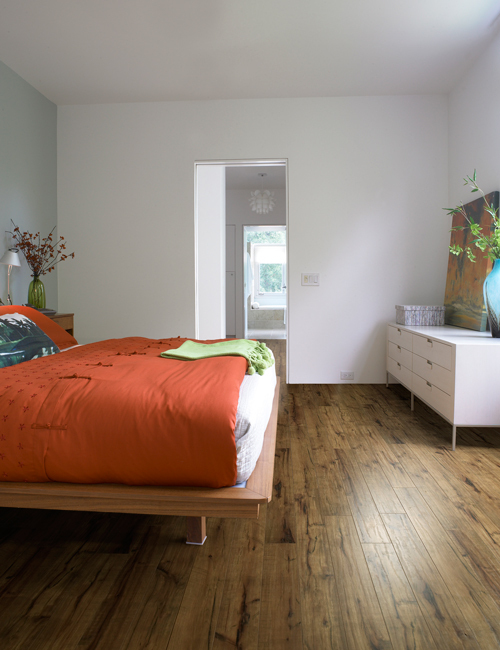 It is one of the most allergy friendly floors on the market. Wide range of colors: Cork is now available in many tones and shades to match many different design styles. Natural insulator: By its very nature, cork is a material that stores warmth. It is also softer than hardwood so it acts as both a sound and temperature insulator. Soft underfoot: Cork is a shock-absorber. If you drop things on a cork floor, they are less likely to break. It is also much more comfortable underfoot - a real plus in a kitchen where people tend to spend more time on their feet. Cork flooring is an excellent choice for active homes or any home that is looking for an alternative to hardwood flooring. With that said, there are a few issues that can be drawbacks for some homeowners. Soft surfaces can be damaged: The same surface that brings comfort and sound insulation, might be a problem in a home with pets. If not groomed regularly, the claws of cats and dogs can scratch a cork floor. Along the same lines, heavy furniture can dent the floor over time - furniture pads can help distribute the weight and counteract this issue. Light sensitive: While all floors can fade in direct sunlight over time, cork is a bit more light-sensitive than other floors and while noticeably fade over time in a room with lots of direct sunlight. 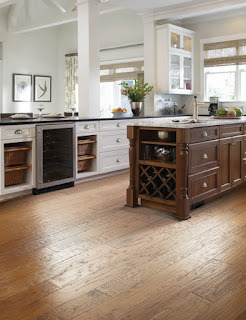 The benefits of cork floors far outweigh the negatives. They are definitely worth a look if you are looking for a wood floor that is environmentally friendly, easy to maintain and looks beautiful. Stop by our showroom on the northside of Indianapolis and ask our free design consultants if cork wood flooring is right for your home.